Welcome to Climatedoctors.com We offer the largest selection of HVAC parts and accessories. If you're looking for a specific, hard to find part then you've found the right place. You'll find nearly 15,000 products to choose from at Climatedoctors, and our checkout process is quick, safe and secure. We are the parts experts. We work closely with manufacturers to bring you a variety of quality items, at prices that help you get the job done within your budget. You don't have to go from store to store looking for what you need. You're certain to find great products, great value and great service at Climatedoctors. When you place your order today, you'll get your product quickly, so you can enjoy a comfortable home once again. We understand that shipping costs can be an issue when it comes to the items we sell. That's why we offer low-cost shipping on most of the items we stock. If you do not see what you are looking for, call we most likely have it in stock. We are here to answer your calls from 10 a.m. to 6 p.m. Eastern Time, Monday through Friday. Just call 877-569-4822 or email us. We strive to get your email answered within 24 hours. 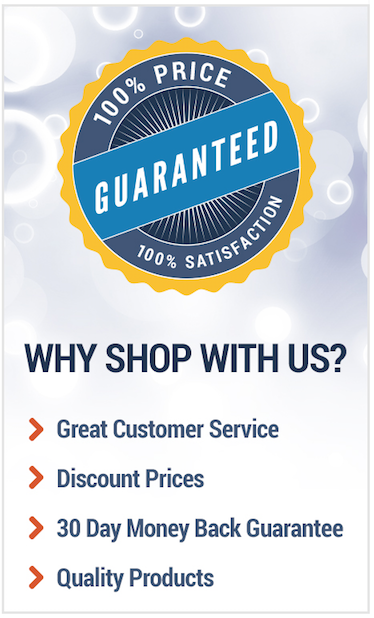 Enjoy safe, secure shopping. Climatedoctors uses a safe and secure online ordering system that protects your privacy every step of the way. Plus, Climatedoctors is thawte SSL Certified, meaning we offer secure communications by encrypting all your data. Because we are an online retailer, we keep our overhead low, and pass great value on to you. Plus, our buyers constantly search for new, exciting products. Each day they strive to improve the shopping experience at our site.